Merry Christmas from Jamie Jo and Women of the Harvest! Wherever you are, whether the weather outside is frightful or downright balmy, may you experience the true joy of the season, and may Jesus be very near and dear to your heart. For some of you this may be your first Christmas away from extended family, and my heart goes out to you. This week may trigger more homesickness than happiness. That’s only natural. Here’s a (((cyber hug))) for those who secretly or outwardly wish you were elsewhere. Take time to journal about your struggles this week. Later on you will be amazed to compare your current feelings with how far you have come. You might also figure out creative ways to make new Christmas traditions that will make it seem like Christmas each year, even though it’s never quite the same as Christmases of the past. On my first Christmas overseas, I had one other single American friend who shared a summery holiday with me in Thailand. We listened to a bootlegged cassette of Bing Crosby crooning “White Christmas” while sweat dripped on the Christmas cards we were signing. Being in a Buddhist country where there was no such celebration as Christmas was very odd. The only highlight was getting together with a small group of believers in a village church for an actual Christmas service. I can count on one hand the number of Christmases I have spent north of the border in the past 24 years. For me, Christmas south of the border is the norm— poinsettias in full bloom in the yard, tamales and pozole served at the local church programs, fireworks, and warm weather. 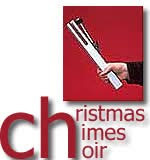 Besides Christmas stockings and big parties (and all the baking involved with that), one other tradition I have maintained is directing a Christmas Chime Choir. Years ago I decided to invest a bit of inheritance money on a 3-octave set of chimes. My own children would never experience playing handbells in a big American church, but they could play chimes here in Mexico. For about fourteen years, I have taught MKs to ring choir chimes, and now it is tradition to play for special services at Christmas time. Our signature piece is “Carol of the Bells.” For me, it literally rings in the Christmas season to fill my living room with two long banquet tables and young people making music together each week in anticipation of the holidays. Christmas Eve will find me at a candlelight service with many other English-speaking families singing carols, ringing chimes, and watching the little kids act out the Nativity story while it is read aloud from Luke 2. Why? It’s tradition. I love tradition. I love the holidays. I hope you will, too. IRL* Still missing my married sons and ddils*, but choosing to be joyful for all my many blessings this week, including my two college kids who are home. 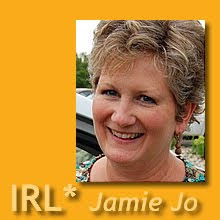 Party @ Jamie Jo's : Y'all Come! When we were in Guatemala twenty-some-odd Christmases ago, I remember a certain hostess who fully expected young couples to hire a baby-sitter for parties at her house, which were clearly "for adults only." I used to take offense at her stance, but now I understand. I really do. Equally clear is the memory of the family-friendly Christmas party I hosted that same year. I was aghast at one mother’s unruffled attitude as her son took a piece of chocolate cake and ground it into my rug with his little foot. She smiled innocently and said, "Boys will be boys" to which I retorted (with a less-than-genuine smile), "And mothers will be mothers and clean up after them!" It's all well and good that children be allowed to be children as long as parents remain parents and don't leave the poor hostess such a huge disaster to clean up after the party's over. Within the missionary community, I'm afraid that isn't always the case, which is also why, I suspect, some people simply refuse to invite children into their homes. What a shame. Now that I have no little ones of my own, I hope I have grown less peevish about spills and messes, but I admit I still need to work on my heart that cringes when children come over for parties. Too many memories. Is it sinful pride that makes me crave a nice orderly house? Is it selfish to not want neighbor children to destroy my house? Or is it simply good stewardship to try to protect my belongings? After all, I know what agony we endured to find each and every piece of furniture and rug, which we carefully selected and brought from the city, and even the support necessary to buy them. I don’t know. There has to be a balance. All I have is a gift from the Lord, and on my good days, I acknowledge that it all belongs to Him. I want to claim none of it as my own. 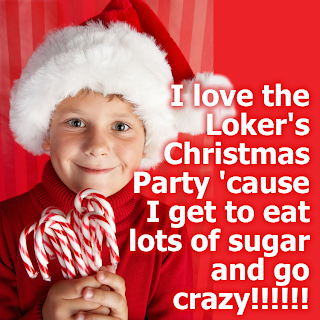 Nothing challenges this resolve like a good old Christmas party. Next week I’ll have to have my head examined heart checked. Again. I just hope I can be gracious and not just act gracious. I hope the snarky remarks don’t even appear as a thought bubble over my head like in the cartoons. IRL* The party is set for December 20. If you live close enough to come, you are welcome, kids and all! Back in the early 1950's, my mom found a pattern for knitting a Christmas stocking for my older brother. That one project led to more than fifty years of Thomas family tradition as she proceeded to knit stockings for my sisters and me as we were born, and then for each of our spouses as they were added to the family. In all, my mom has lovingly created a keepsake for over thirty family members including her grandchildren, their spouses, and great-grandchildren. My newest ddil,* Amy, received a stocking to match my son’s for a wedding present. The story I want to share is about the one stocking Mom didn't make. Jim and I had only been seeing each other a scandalously short time when it became apparent that our parallel life journeys were about to converge into one single path together. I'll never forget the conversation we had with my parents, discussing the feasibility of a very low-key, informal wedding ceremony one week before Christmas (1984), with just the two of them as our witnesses. Dad thought this plan was greatly preferable to the alternative, which was for me to travel to Illinois with Jim to meet his family before we got married at a later date. Mom's only objection was a practical (though sentimental) one. She could not possibly knit Jim a stocking in only a few weeks, and it would be unfortunate to spend our first Christmas together without the tradition of matched stockings. At that point, Jim innocently made a remark, obviously unaware of the significance of "the stocking" my mom was proposing to knit. "Not a problem," he declared simply. "I already have a stocking!" What I feared would turn into an unpleasant scene actually became an amazing confirmation of what we perceived to be God's confirmation of our December wedding date. 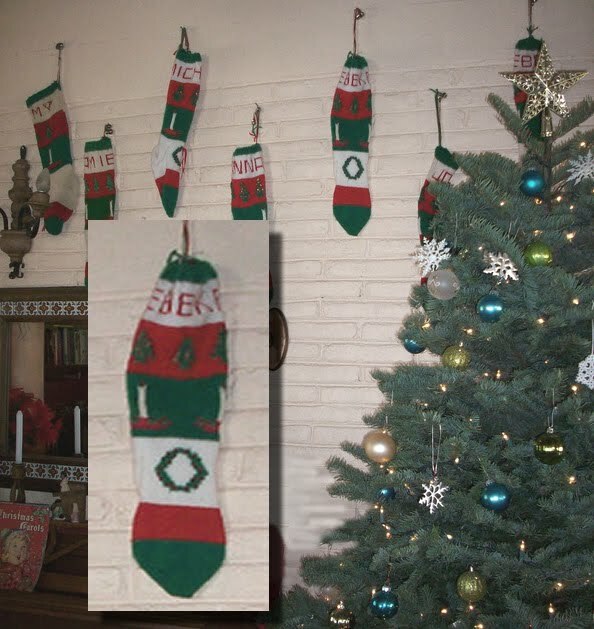 It turns out that Jim's Aunt Betsy, back in 1953, had chosen the exact same stocking pattern and knitted him a Christmas stocking identical to the original Thomas family stockings from the same decade. How's that for weird and wacky? True story! Now it’s your turn. Care to share some Christmas memory with us in the comment section? We love stories! IRL* Contemplating a new hobby during this next season of life as I face the reality that my 80-something-year-old mom may not live to see all my grandbabies outfitted with the family stocking. Who am I fooling? Here I had promised to be “real” with you, and then I find myself tippy-toeing around the issues I’m facing, tempted to sugarcoat them. Frankly I am feeling swamped. Too much to do, too little time…. Maybe some of you experience that this time of year. Thanksgiving is over, and the rest of the year flies in double time and ends before you’re ready. Particularly in December I become nostalgic and just want to scream at the clock to STOP, if not just slow down or even rewind a bit. At the very least I want time to stand still for an hour or so while I recover from the jet lag of zooming through seasons of life so fast. Last week my baby turned twelve. That alone was enough to throw me into an introspective mini-funk. After 25 years of being a mother, I am beginning to see the end in sight. Just like the month of December, I know it’s going to speed by in fast motion. Meanwhile I am mourning the loss of four children who have grown up and moved on. With so many serious crises in the world and people dying without knowing our Savior, it seems petty to complain when my life is so blessed, but that is the reality. It still hurts to face the holidays with only a partial family. I am thankful my two college kids will join us, but still, only seven of us around the table for Christmas dinner? That seems tragic somehow. Now I understand how my own parents must have felt when I flew the coop for foreign lands. They never complained or made an issue of it, but mercy, this stinks! Back when I had four children under six years old, I used to laugh when those older missionary ladies would sigh and tell me, “Enjoy them, sweetie. They grow up so fast.” It made no sense back when my one goal was to teach them to tie their own shoes, but they were right. Now that I have whiled away the morning whining over what can’t be changed, I really must get back to the “to do” list. 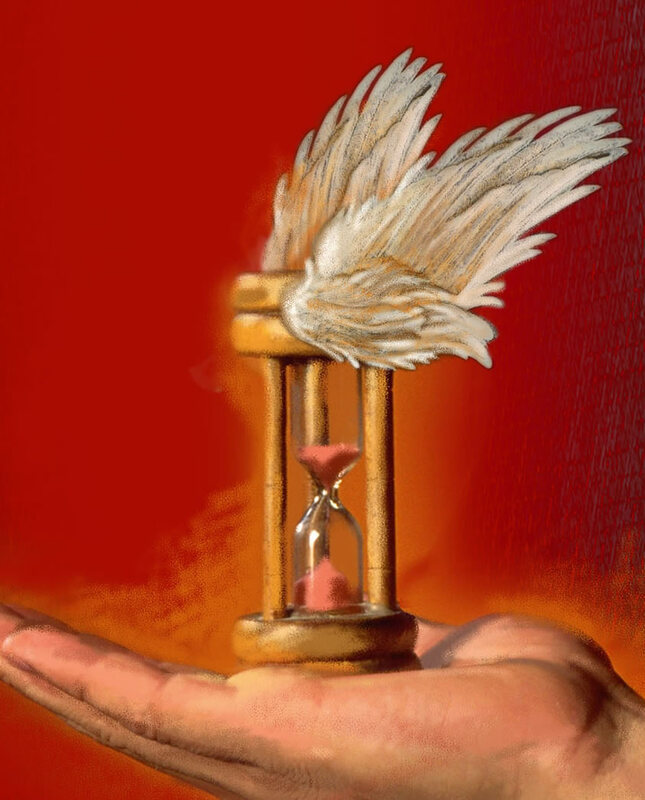 The trouble with time speeding up all of a sudden is that I can’t find enough hours to properly prepare the Bible study in Spanish for Fridays. What was I thinking when I committed to do that? Then there’s the progressive dinner for the MK teens I volunteered to help host, and the chime choir to direct for different Christmas programs, the short story I had hoped to submit for the WOTH Writer’s blog, and the prayer letter that needs to be written and sent before the end of the year. I expect some of you are in the same dilemma. Maybe you aren’t even reading this until weeks after it was posted. I understand. IRL* Like it or not, December has begun, the fastest month of the year. Another book suggestion for your Amazon wish list: A Lantern in Her Hand, by Bess Streeter Aldrich, my all-time favorite book. She “gets” the too-fast passage of time as well as the challenges of settling far from family and friends.